PEEL the garlic cloves and chop them into halves. PAT the pork dry using paper kitchen towels and slice into the meat with a sharp knife. 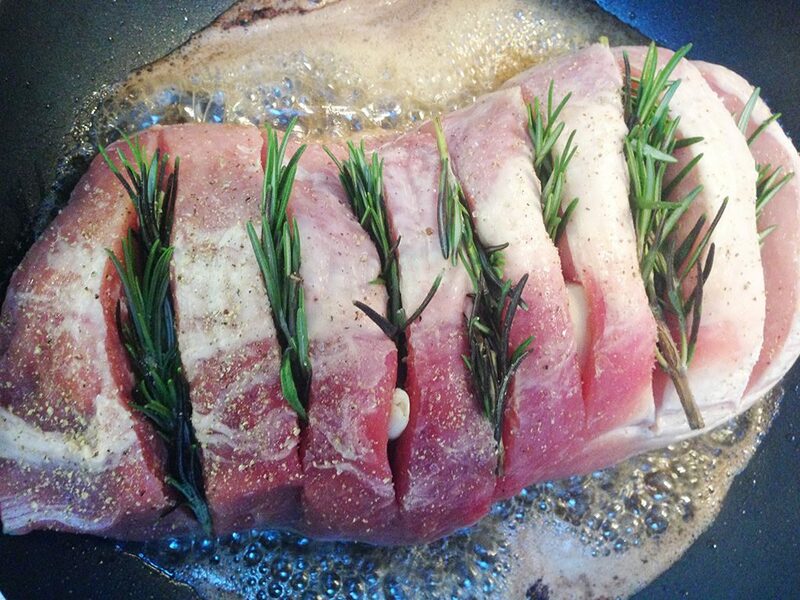 PLACE the garlic and rosemary sprigs into the cuts and SEASON the pork with pepper and salt. RINSE the small potatoes and celery stalks and chop the celery into large pieces and set them aside. 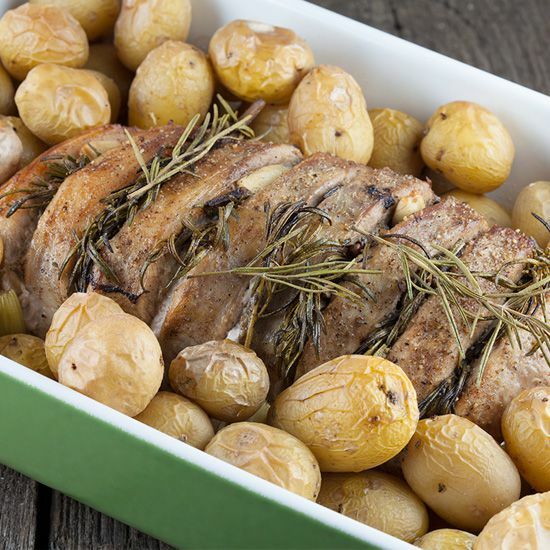 HEAT butter in the large skillet and cook the pork loin beautifully brown on both sides. The butter will be used for a lovely sauce later on, so don’t throw it out. 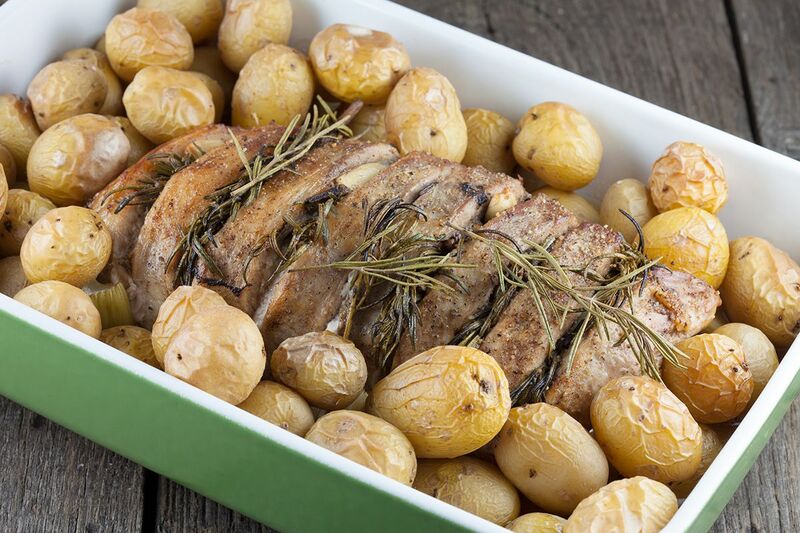 PLACE the pork loin in the oven dish with the cuts upwards. 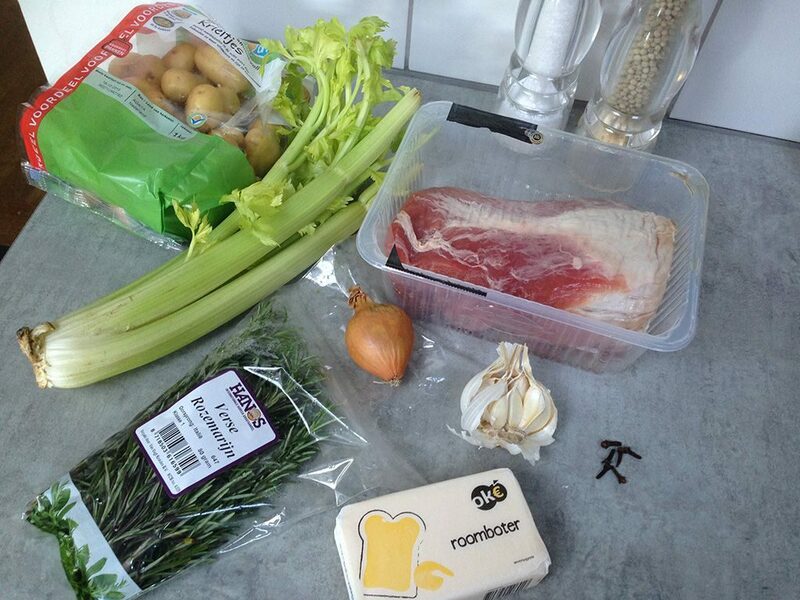 ADD the cloves in the cuts as well and DIVIDE the celery stalks and potatoes in the oven dish. ADD some more pepper and salt over the potatoes. 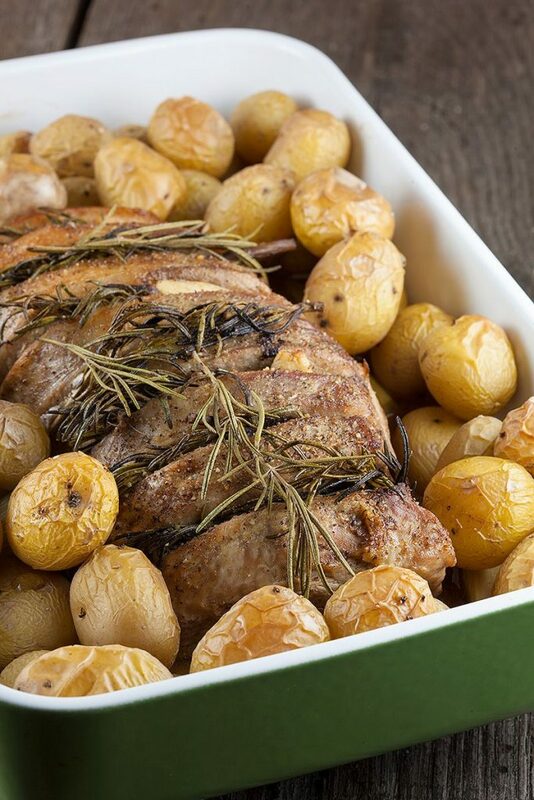 ROAST in the oven for about 45 minutes. The core should be at least 60 degrees celsius (140 degrees fahrenheit). CREATE an easy sauce by chopping an onion into rings and cook them in the butter with a few extra sprigs of rosemary. ADD some Brandy or sherry if you like and serve this easy and delicious sauce with the pork loin. SERVE with poached pears and red cabbage and enjoy!